100 Hampshire and Isle of Wight Air Ambulance volunteers attended our annual Volunteer Conference on Saturday (6th). They heard from the CEO, Director of Operations and Director of Fundraising on our future plans as well as a talk from the mother of patient whose life we saved last year. The conference, held at St Swithun’s School in Winchester, also gave them the opportunity to see our future fundraising initiatives, meet the Critical Care Teams and watch a demonstration by them. 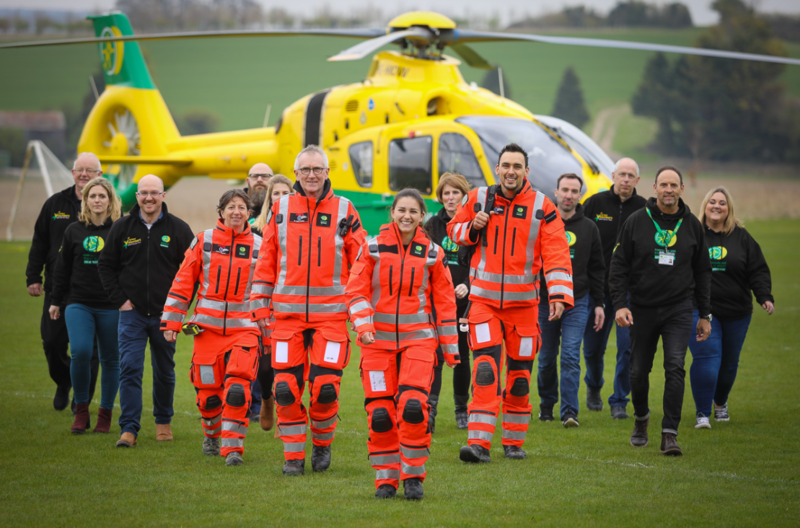 Our volunteers play an important role in our Charity, helping us to keep Critical Care in the Air. If you would like to find out how you can volunteer with us and make a difference, please get in touch. Thanks to the event sponsors Barlow Robbins Solicitors, Rathbones Investment Management and Brewin Dolphin Investment Management. Thanks also to Transpack in Southampton for supporting the event by donating the goody bags.